The BEST Kids Haircut Place Near Me! With mounted vehicles for styling chairs, televisions, DVDs, XBOX players, a Toy Store in the waiting area, and even regular styling chairs, our salons serve as FUN centers that provide a positive distraction for a MADtastic experience for any Dude or Diva getting a New Hairdo! 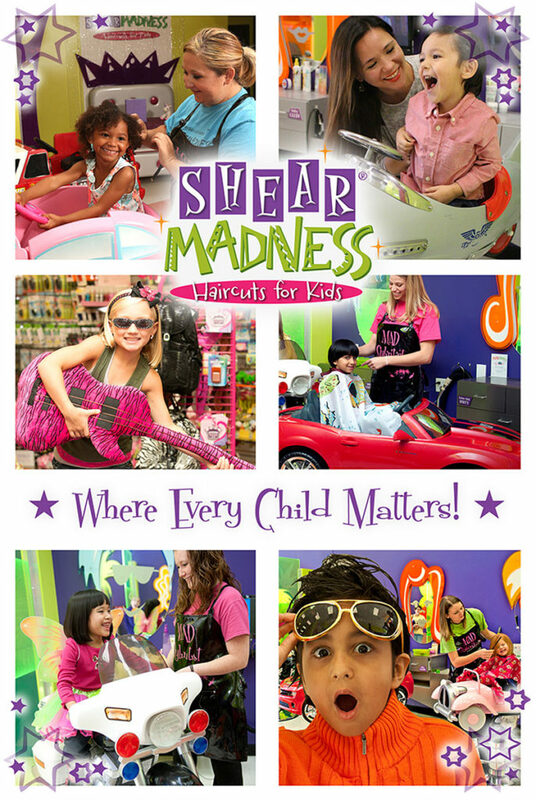 Our MAIN service is kids haircuts! We do them all day long, every day – so we are EXPERTS with everything having to do with kids hair! Nothing a child does, says, etc. surprises us! So moms & dads rest easy as we provide a judgment free zone where EVERY CHILD MATTERS! 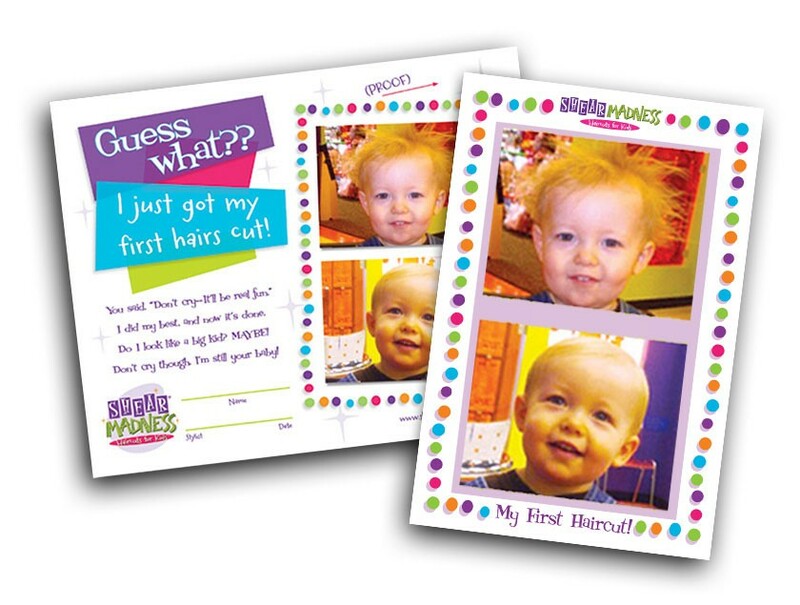 From FIRST haircut to FIRST date – ALL ages are welcome! Also, as all our locations are individually owned (more details here), our awesome services may vary a little from store to store. Be sure to call your location here if you ever have any questions or would like to make an appointment (appointments aren’t necessary, but great if you want to make sure you get your preferred time)! Regular Haircuts – This service includes choosing your “chair”, movie or game, and getting your hair cut and styled with only “kid friendly” hair products – We only offer for sale products that are specially formulated and safe for kids!! 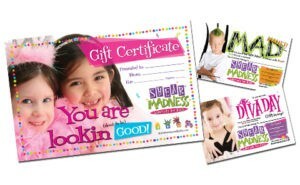 Our stylists can help you choose the BEST products for your kids hair! And as a totally GREEN salon for kids, we don’t use harmful dyes or chemicals in our salon – so NO odors here! Shampooing – we use hair products (link to our hair product page) that do NOT include any parabens, phosphates, etc. Only the BEST products! Haircuts for Donation – where you donate is up to you – but of course we make this SPECIAL too! We want to commemorate anyone who has grown their hair and then donated it to those in need. We do charge for the haircut, but we INCLUDE as our gift a Special 8 x 10 Certificate with a before/after picture to remember this act of kindness. Spa Manicures and Pedicures – now these are for the SPECIAL treatment, Spa Robes, Pampering, AND filing, trimming, soaking in bubbles and polish too! Glitter Tattoos – for that extra special time! Diva Dayz – What is a Diva Day? A FUN TIME! Wear a Spa robe, Get a FUN Glittery Updo (not using a curling iron, etc. ), Sparkly Makeup, a Mini Manicure and a Tiara for the princess too! A Diva Day appointment is scheduled for 20 to 30 minutes. More here! Birthday Parties – Imagine a group of girls gathered for a fun time of Pampering! All get Diva Dayz, sing Karaoke, wear Tiaras, Opening gifts and More! Party details vary by location, so click here, pick your location and read all about it! Ear Piercing – Get ShEAR Dazzled Here! An experience where both ears are pierced at once! (this service is done by most of our locations) Click here for more details. Gift Certificates – All Kinds and SO CUTE – Boys, Girls, Diva Day, Cut with Stripes, Etc. Please Note: As Our locations are franchises and in different parts of the country, we cannot publish pricing here as all pricing varies by location. Locations may also offer additional services – but what is listed above is offered at ALL of our locations (unless noted)!